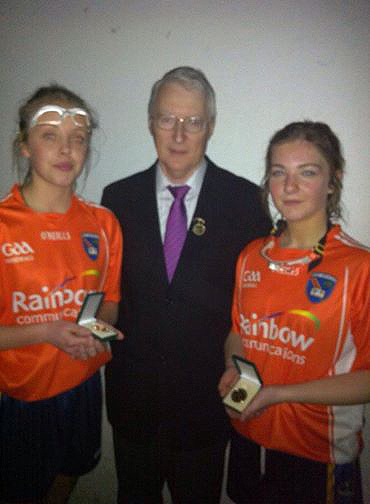 CONGRATULATIONS to Alana Doran/Niamh Coleman who won the U-16 Doubles All Ireland Handball title at Clare Castle, Ennis , Co Clare over the weekend. The pair played some great handball throughout and thoroughly deserved their victory. The club were also represented very proudly in 3 other finals( U-15 Singles – Dearbhla Coleman …..u15 Doubles – Meabh McCambridge / Beth Doris …..U-17 Doubles – Kaitlin Fleville / Méabh Mc Mahon ) but unfortunately they lost out but can still be immensely proud of themselves to be competing at such a high level. WELL DONE TO ALL THE GIRLS !!! !